Dessert Darling Littlejohn’s English Toffee House at the Grove | Dessert Darling , we stopped at Littlejohn’s English Toffee House in the Farmer’s Market at the Grove. 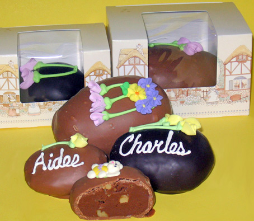 They had an incredible display of Easter Chocolates that made us mirthful from the start (sorry I don’t have an incredible photo to show it!). 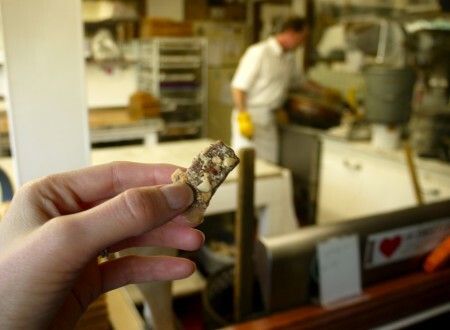 Then we all got to sample their famous English Toffee, which we could see being made through the window by John himself. While perfectly executed, I find English Toffee to be just a little too sweet. I think it works better as a dessert accessory (like in vanilla ice cream, or chocolate cake) than it does as a stand alone treat. 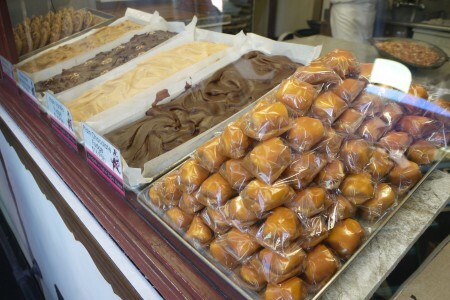 We also got to try their Caramel Covered Marshmallows,which looked super exciting. 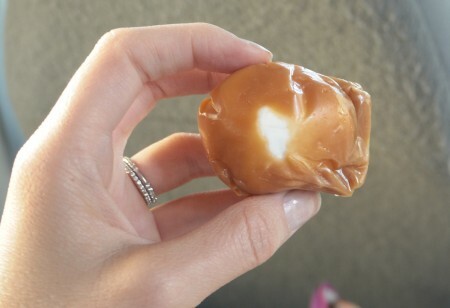 Alas, the caramel was a little buttery and bland and when combined with the Marshmallow, it too became heavy handed on the sweet buds. A dash of sea salt would have significantly improved this candy for me. While I have my criticism, I still highly recommend that you stop by this quaint little mom-and-pop shop in the heart of the Grove’s Farmer Market. The fudge looked absolutely divine (as did the Divinity) and their quality desserts are made with high end ingredients. Four Cherries for Littlejohn’s English Toffee House! For more information on Littlejohn’s Enlighs Toffee House, click here. it WAS hard to get a good photo of their impressive display!